Directed by Lars Kraume. 2018. Germany. 111 in. German and Russian with English subtitles. Hawaiʻi Premiere. 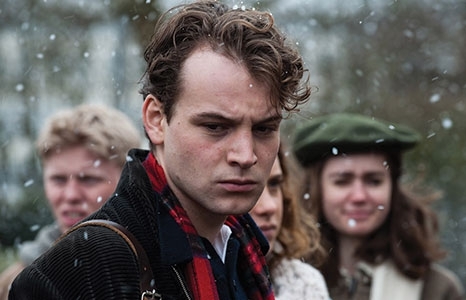 In this thrilling historical drama, a small act of solidarity brings chaos to the lives of a class of teenagers living in 1956 Communist-controlled East Germany. Classmates Kurt (Tom Gramenz) and Theo (Leonard Scheicher) could have never predicted that a casual but unauthorized trip to the movies in West Berlin would result in their divulging of political information that would forever change them and their fellow classmates. A Berlinale entry from historically minded director Lars Kraume (The People vs. Fritz Bauer), this fact-based drama offers a sobering reflection on the nature of protest and political action.